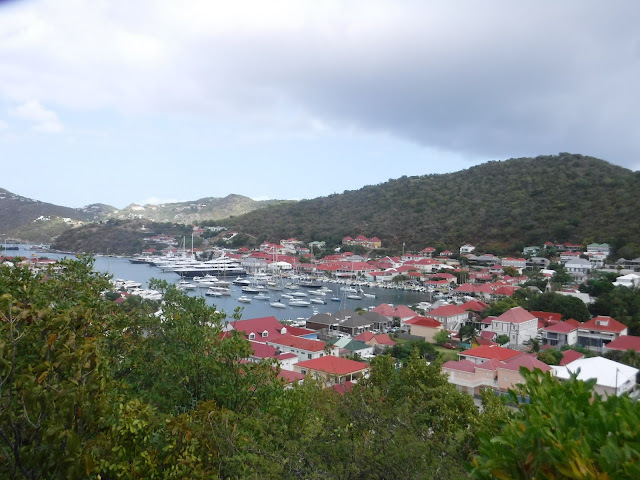 St . Barts is a lovely, well kept up island. The streets are well maintaineId, no visible garbage, no open sewers, everything is neat and orderly. Even the drivers seem to be going a little slower, a little mellower, a little more aware and considerate of pedestrians. 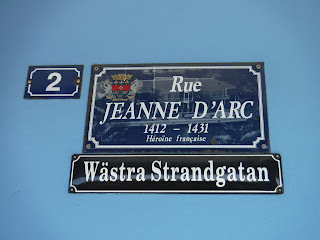 The official language is French but almost everyone speaks some English. 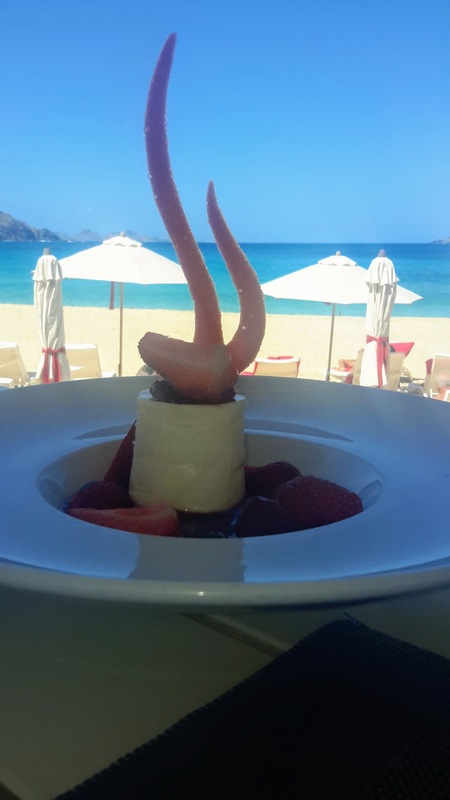 The restaurants are expensive but everything is prepared impeccably. 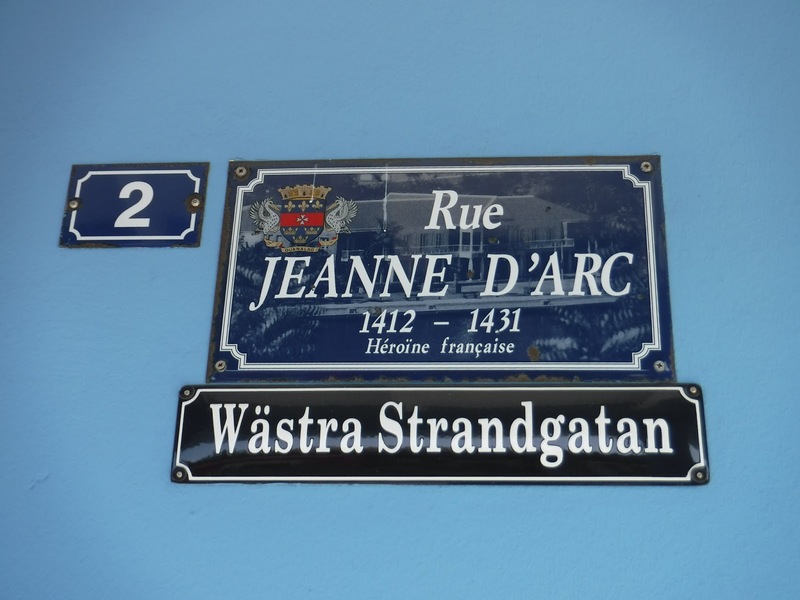 Every street in Gustavia had two street signs, French and Swedish. Check in was computerized, and easy. When you enter a boat's name the computer brings up choices of boats already in the system, or you can make a new entry. When we entered Rhapsody's name- she appeared- under her old Norwegian registration. Yet another spot that she has been before us. Now when we check in, or out, there will be two Rhapsody entries to choose from. Gustavia is the capitol of St. Barts and the port that we checked into. After checking in we took a tour of the town. 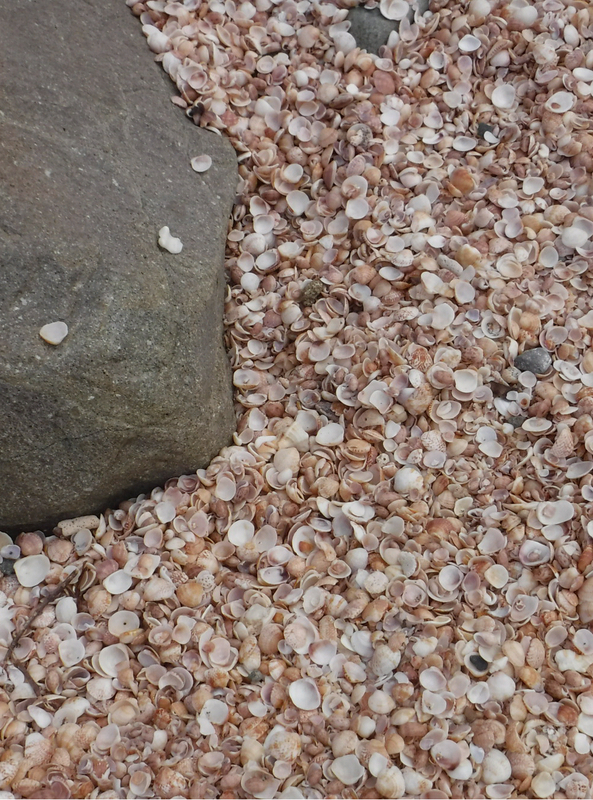 Out to Shell Beach, aptly named, covered in small shells. 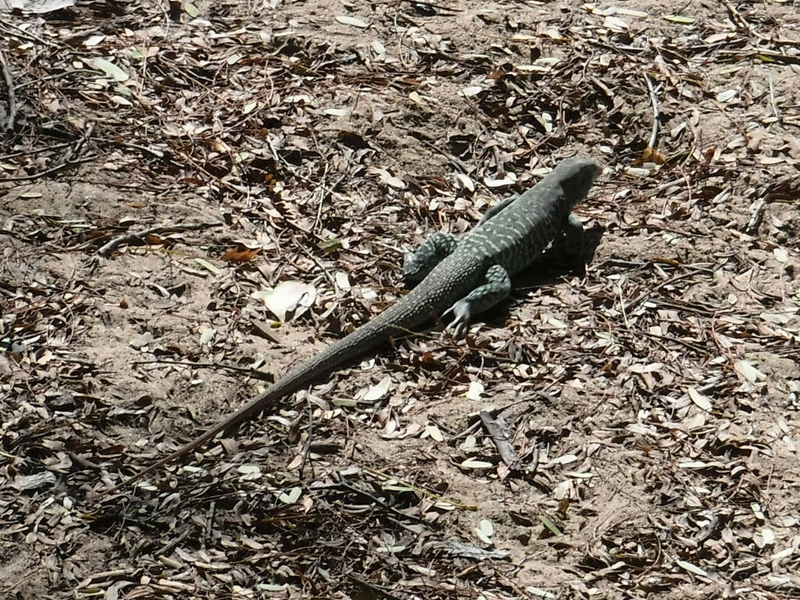 Not very colorful but each having individual, intricate geometric patterns. The sign reads "No Butts on the Beach"
There were signs like these, each with their own supply of cans, on every beach we visited. Above Shell Beach is the remains of a fort, Fort Karl that has now become a small botanical walk, complete with signs. I always enjoy walks such as this because it gives me a chance to learn some of the local flora, however I often find that the plants that are chosen for the signs are not the common plants of the area, so the chances that I will come across them in the wild are slim. 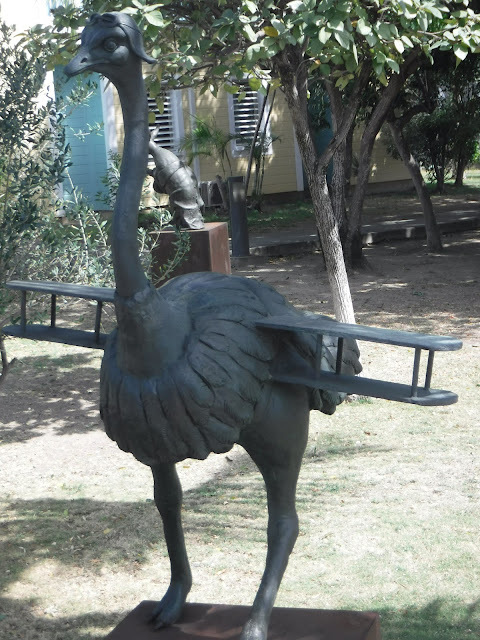 A very pleasant discovery was stumbling upon a sculpture park full of whimsical animal sculptures. 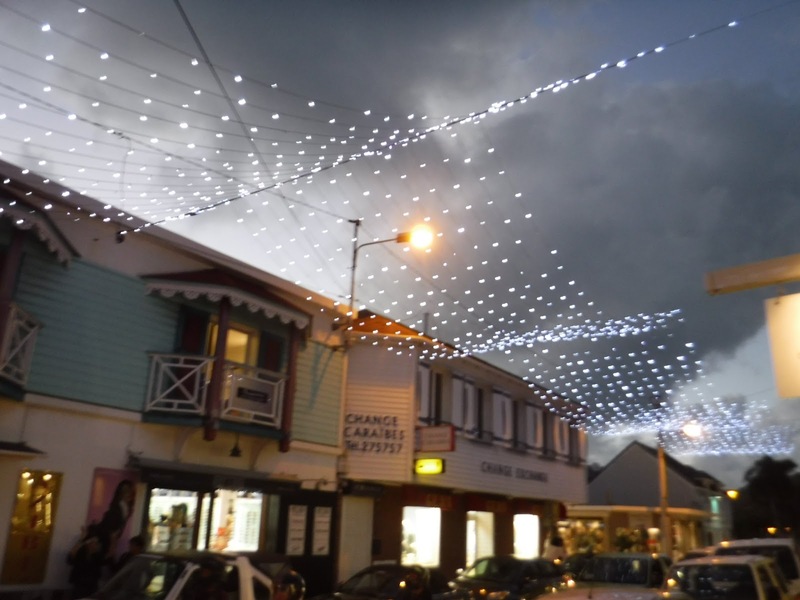 Lights above the streets of Gustavia. 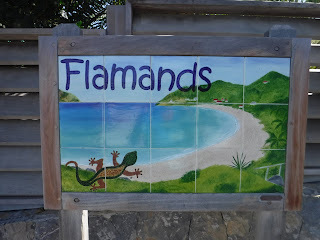 Each beach had a hand painted tile sign. 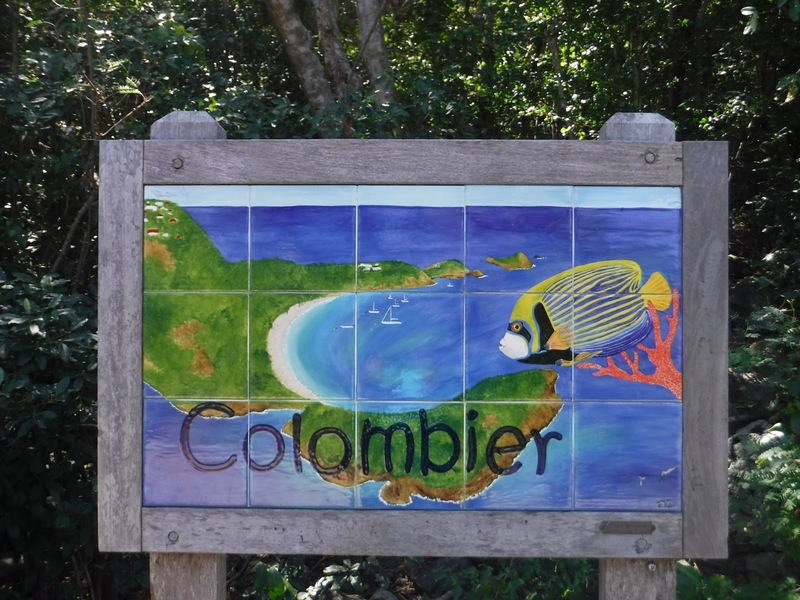 Columbier was the bay we anchored in. The path to Flambers was across the narrowest part, and then to the left. 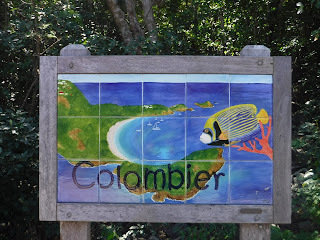 Our last day in St. Barts was spent hiking from Columbier at the northern tip around the point to Flamands Beach. The path was well trodden but steep at points and at other points came close to the edge dropping off to the ocean below. I had visions of hiking to Machu Piccu in Peru with our son Rivers who was 5 years old at the time. 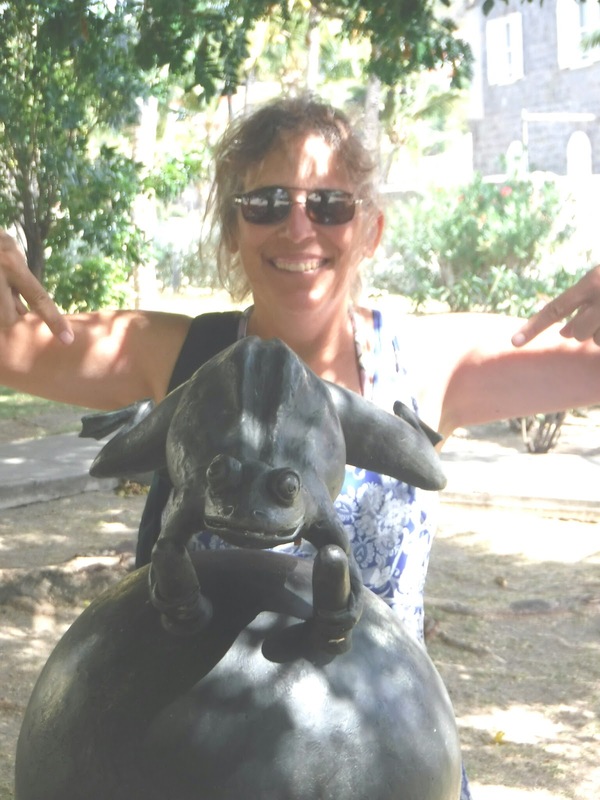 While we were hiking on the cliffs above the Urubamba River we would play a game called "Magnet". The rules were that if I got nervous about the proximity of the edge I would call out "Magnet!". That was the signal for Rivers to hug the rock wall away from the edge. It was a good solution because Rivers saw it as a game rather than Mom being scared. He would react quickly because it was a game and we could all laugh and have fun. The cliffs on the hike on St. Barts were not nearly as steep or as high, but they did evoke memories of the Macchu Piccu hike. Arriving in Flamands we found a fancy restaurant on the beach. It was obviously not too exclusive because they let us in, but certainly a few steps up from what we are used to. The service was wonderful, the servers very attentive. The presentation of the food was impressive and it tasted as good as it looked. Out on the beach adjacent to the restaurant were the lounges and umbrellas for rent. I know that on Shell Beach they were $50 a day, I am sure they were more here. There were several attendants with t-shirts labeled " Beach Boy " on the back, ready to fluff your pillows when needed. 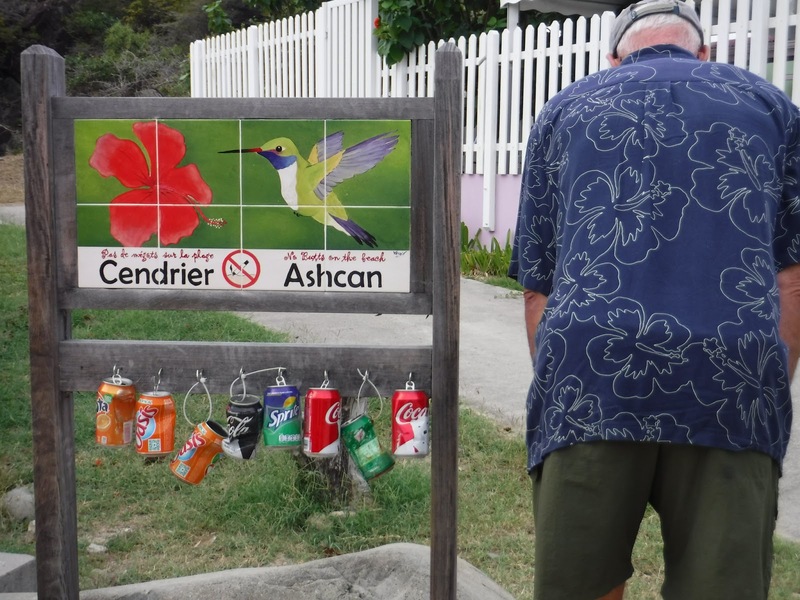 Our time in St. Barts was short but enjoyable. I don't think our budget would be too happy with an extended stay here. Check out was as easy as checking in, and only cost $17,000. Sarah....I LOVE reading about your adventures. I don't comment as often as I probably should but please keep blogging! Let's those of us who are still trudging away at work live vicariously through you both! It's great to see so much blue water, sun and amazing places you visit. It's rainy, rainy, rainy here - so far in February we've had 22 inches of rain. Which is "normal" but not for the past few years. Take care and cheers!!!! Thanks Jodi, I do appreciate it when you do comment, it helps fuel me for future posts. Sounds like we both have a lot of water in our lives! We are happy and feel so lucky to have the opportunity to make more special memories.